Salad of lentils, radicchio and organic baby carrots. 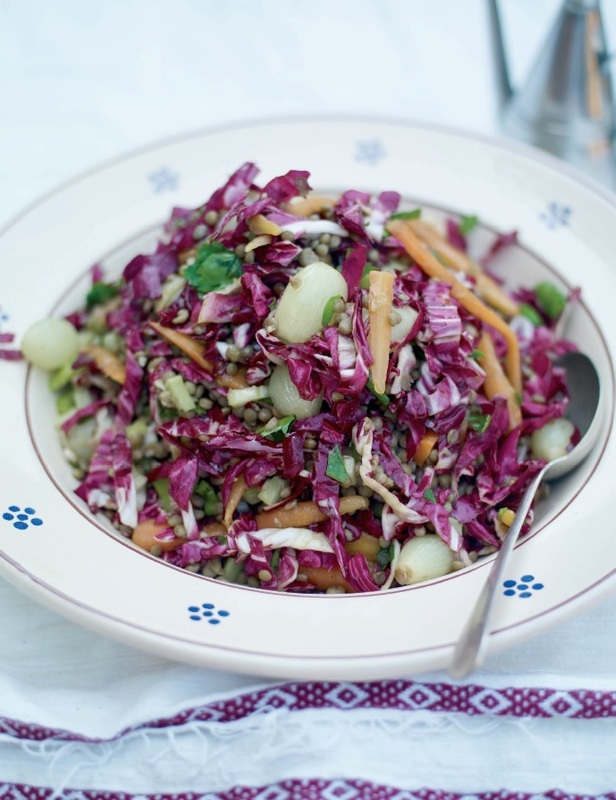 If you like lentils, but want to enjoy them in a lighter way, this salad is ideal. The combination of lentils with the slightly bitter radicchio, flavoursome organic baby carrots and preserved baby onions it is truly delicious. There are some really good baby onions preserved in olive oil in supermarkets or delis. Don’t, however, get the cocktail onions in vinegar as this would spoil the taste of the dish. Steam the carrots until tender and leave to cool. Drain the cooked lentils and allow to cool, then place them in a large salad bowl together with the carrots, radicchio and preserved baby onions. Add salt & pepper to taste, then drizzle with the evo. Place vinegar and garlic in a small pan, bring to the boil and allow to evaporate leaving approximately one-third of the original amount. Discard the garlic and pour the warm vinegar over the salad and serve immediately.